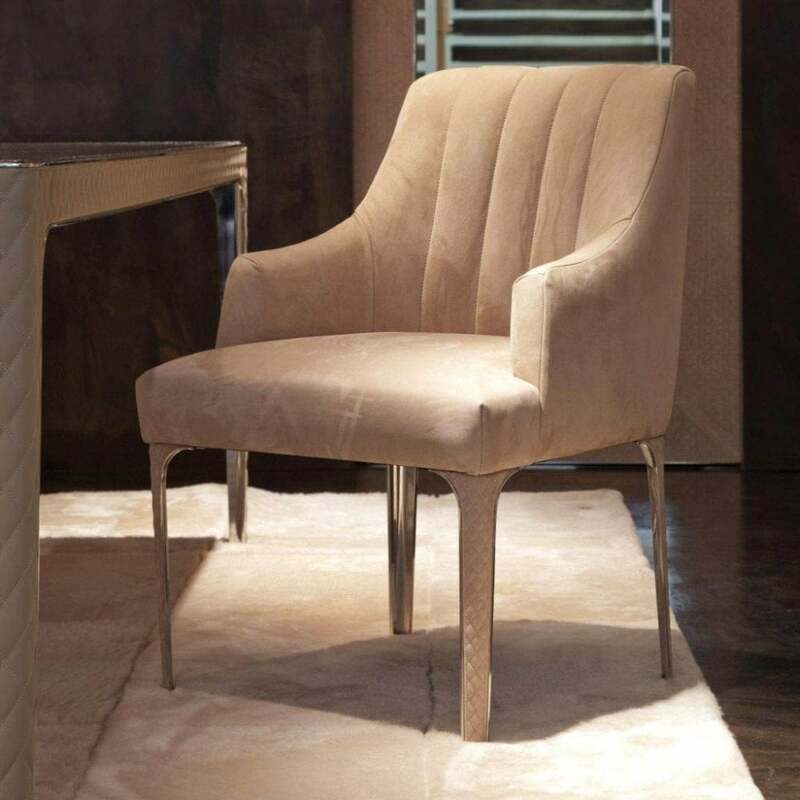 Elegant and timeless, the Arianna Chair is part of the ‘Day’ collection by Rugiano. The high-quality materials and refined details showcase the skilled craftsmanship in the Italian design. Upholstered in the finest Pelle leather, this classic chair is refined with a contemporary twist. The contoured backrest and deep seat combines both form and function. Choose a smooth or textured finish to create a bespoke feel. Or combine the two covering the back in a textured leather and forming the seat in smooth sleek material. The legs can be realised in quilted leather or in a modern steel or bronze finish. Get in touch with our team to receive samples and more information.